Week 6 of the fantasy basketball season is in the books and here is a breakdown of what happened in the 18 Razzball Commenter Leagues. Every Tuesday I will update the standings, summarize the action, look at some of the best moves, and name a Team-of-the-Week. So not only are you playing for your own league’s title, you are playing for the title of overall Razzball Commenter Champion. Week 5 of the fantasy basketball season is in the books and here is a breakdown of what happened in the 18 Razzball Commenter Leagues. 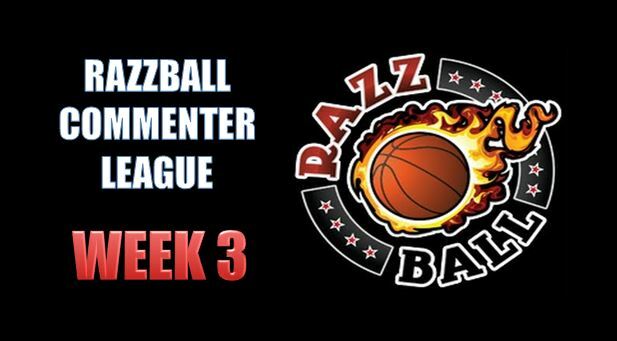 Week 3 of the fantasy basketball season is in the books and here is a breakdown of what happened in the 18 Razzball Commenter Leagues. Every Tuesday, I will update the standings, summarize the action, look at some of the best moves, and name a Team-of-the-Week. So not only are you playing for your own league’s title, you are playing for the title of overall Razzball Commenter Champion. 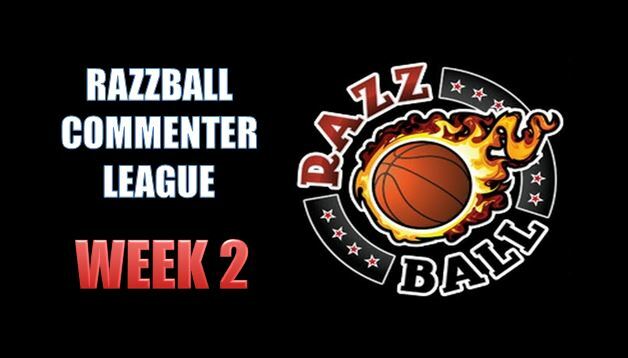 Week 2 of the fantasy basketball season is in the books and here is a breakdown of what happened in the 18 Razzball Commenter Leagues. 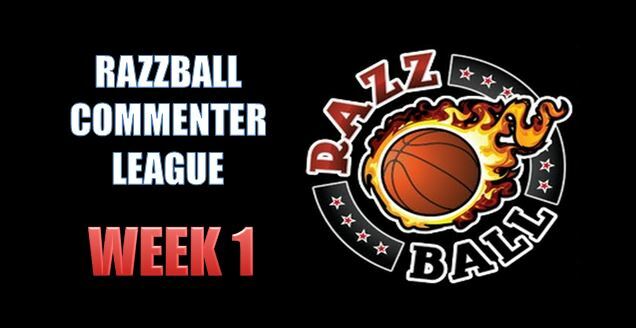 The 2018-19 NBA season kicked off this past Tuesday, but more importantly, this year’s Razzball Commenter Leagues have begun! Last year, we had 12 commenter leagues. This season we have 18! Thank you to everyone who is participating. It is going to be an awesome year. Every Tuesday I will update the standings, summarize the action, look at some of the best moves, and name a Team-of-the-Week. So, not only are you playing for your own league’s title, you are playing for the title of overall Razzball Commenter Champion. Last year’s champion, Pikachu, finished with an overall record of 117-61-2 and he is back again this year to defend. 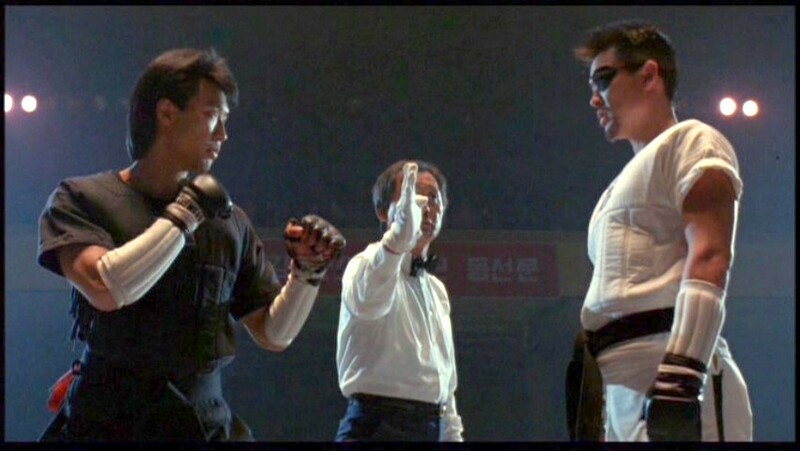 Let’s see if anyone can take down the champ. It’s baaaaaaaaack. I know the wait was excrutiating. The eye fatigue from those countless hours staring into the digital dojo. The clicks. Oh, the millions of clicks on the mouse button that turned you into a one-armed Popeye. What was it all for?… <in a voice that echoes and decreases in volume each time the phrase is repeated> What was it all for?…What was it all for?…. The chance to be the best of the best of course! I’ve been told that the RCLs are populated with some of the sharpest fantasy basketball minds in the land. Do you have what it takes? In this week’s show, Craig Bozic and Brent Carlson are joined by Jordan Schultz, Host of the Hashtag Basketball Dynasty podcast to compare and contrast thoughts on this years rookie draft class. They start the show by talking about the Jimmy Butler trade request, and the fantasy implications for the remaining Timberolves. From there, Jordan reveals his top Rookie top 30 for dynasty leagues, Including what to expect from the likes of Dzanan Musa, Aaron Holiday, Grayson Allen, Miles Bridges, Collin Sexton, Mikal Bridges and Zhaire Smith. Find out why both Craig Bozic and Jordan Schultz are high on Marvin Bagley III, Trae Young and more on the latest edition of the Razzball Basketball Podcast! Fantasy Basketball: All Hail Pikachu! 2017 RCL Grand Champion! We normally think of Pikachu as cute and cuddly characters from the world of Pokemon. And they are, but let’s not forget that they are captured and groomed by us humans to fight other Pokemon for sport. We are savages. In the world of RCLs, Pikachu was a lean, mean, fantasy basketball dominating machine. 117-61-2. The numbers speak for themselves. Forever etched into the history books of RCLs, Pikachu received the $50 Amazon gift card and was invited to participate in the “expert” league for 2018. If you ever run into Pikachu on the streets, you best stop, drop to the knees, and pay your respects to the 2017 RCL Grand Champion!